The internet brings a wealth of knowledge and information right into our front rooms, providing us with the ability to learn new skills whenever is most convenient. For those who are looking to learn more about web and graphic design, the availability of online tutorials and courses means that it’s never been easier to use Photoshop and other associated programs, no matter how much experience you have had in the past. Of course, online learning isn’t right for everyone and there may be times when a classroom Photoshop environment is more suitable, particularly for those who are less confident with technology or perhaps need to learn the skill in the shortest time possible. We hope you enjoy our guide to online Photoshop courses. But if you have the time to commit to learning online, the ability to learn at the rate that suits you can be extremely useful. Here we take a look at just some of the online courses and tutorials available which could help you to learn more about web and graphic design and Photoshop in particular. This site is one of the most comprehensive you will find which is why it has already attracted nearly 90,000 students keen to explore Adobe applications further. Photoshop is explained in great detail during the ten hours of content dedicated solely to the program. Focusing on Adobe Bridge and other features before moving into using layers, filters, masks and other techniques, Lynda.com is chock-full of tutorials. The course costs $25 per month but for this price, you will receive full access to the information on site. If you’ve already acquired the basics of Photoshop you may have an appetite to learn more about the potential the program holds. Perfect for graphic designers who are keen on focusing on their ability to use filters, this course offered by Peter Collins and shows how to use Photoshop’s most powerful filters in detail. With monthly memberships plans as well, you can opt to take as much as you choose to. Although there’s no actual narration, the information and know-how contained on this site is extensive and the step by step instructions are more than sufficient. There’s a diverse collections of tutorials which demonstrate even some of the most obscure procedures, such as how to create the look of burnt parchment without actually setting anything alight. The video is helpful and guides you through each tutorial at a good pace while there are also pictures of the buttons that you need to press at every stage. To get maximum benefit from this site you will need to create a membership but once you’ve done this, you will find it’s more than worth the effort. A voting structure brings the best tutorials to the top in the group and there are design articles and videos as well. Luxa helps anyone learn how to use Photoshop with fellow members able to suggest helpful tutorials and articles which would add value. As well as all of the onsite learning, Luxa holds a vast collection of Photoshop brushes which mean that you can achieve results never been seen with your images and graphics. Dr. Chad Neuman provides excellent tuition in this series which is available online via Udemy. The content covers every single tool which is available within Photoshop and explains the functionality of each in an easy-to-understand manner. There are more than 46 tutorials in all but if you need to learn about a particular element quickly, you can view them out of order and just jump to the part you need. But to get the maximum benefit from the learning opportunity, it’s best to watch each tutorial sequentially. The extent of the content available in this online course means that it would bring benefits to not just beginners but more advanced users too. 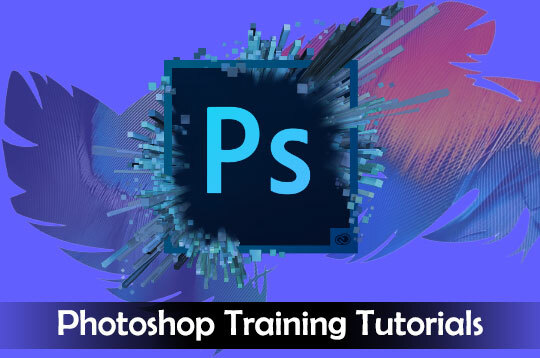 This course again on Udemy provides a comprehensive look at how to use Photoshop 2014 and maximize the functions which are available. No prior skills in graphic design are required in order to complete this course but by the end of all of the tutorials you will be able to make images look truly professional. Taking a look at how to handle layers properly as well as the use the latest functions which have been added, this online graphics course brings Photoshop learning right up to date. This site contains a vast number of tutorials on subjects including both web design and development, all free of charge although you can also access premium content if you are willing to pay a fee. Web Design Tuts+ is part of the Tuts+ network which features lots of different online courses, including the valuable Photoshop tutorial PSD Tuts and the associated WordPress tutorials too, WP Tuts. If you have the ability to learn easily from online resources and don’t require the one-to-one attention that a classroom environment can provide, the above seven courses can offer excellent tutorials and information on web and graphic design.